A new Mexican spot has made its debut in the neighborhood. The newcomer to Washington Square West, called Illegal Tacos, is located at 427 S. Broad St. This new fast-casual taqueria--located in the former Bain's Deli space--is the latest project from Florian Furxhiu, who originally hails from Albania and runs a South Philly coffee shop, according to The Inquirer. Furxhiu has gotten some flack for the name, but told The Inquirer that while risky, he "wanted to come up with a name that's catchy." "Some people may be offended, but really, I'm an immigrant, too," he added, explaining that the name hints that the food is so good, "it's illegal." On the menu, expect to a variety of tacos with proteins like al pastor, carnitas, chorizo, chicken, or veggies; burritos with pico de gallo, crema, queso, and black beans; and a fried tortilla bowl filled with veggies and a choice of meat. There are sides on offer, too, like tortilla soup, chips and salsa, and rice and beans. Rounding things out are freshly brewed Jamaica and horchata drinks along with a selection of Jarritos colas. The fresh addition has already attracted fans thus far, with a five-star rating out of 10 reviews on Yelp. 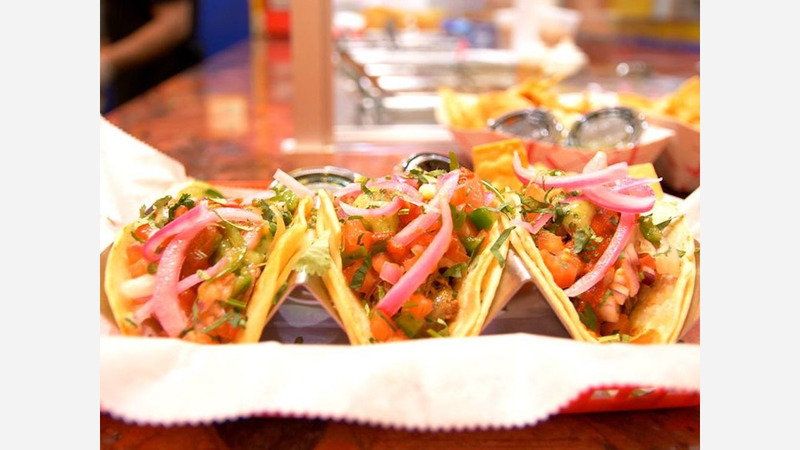 Sue C., who was among the first Yelpers to review the new spot on January 20th, said: "Really solid tacos! I tried the chicken and al pastor tacos tonight. The al pastor comes fresh off a spit, and you customize with toppings as it moves down the efficient assembly line." And Jay S. added: "No complaints here! Went for a lunch and was glad I did. Like a homemade chipotle. I went with an $8 burrito with rice black beans and the shredded beef. Loaded up with my toppings. I said I wanted my order to go, but sat down for one bite. Before I knew it, my fat burrito was gone." Interested? Stop by to welcome the new business to the neighborhood. Illegal Tacos is open daily from 11am-9pm.